If Good Can Come From Suffering? Suffering. It's not a pleasant subject to discuss, but a necessary one. Suffering plagues our world. In its many forms it affects us physically, psychologically and emotionally. 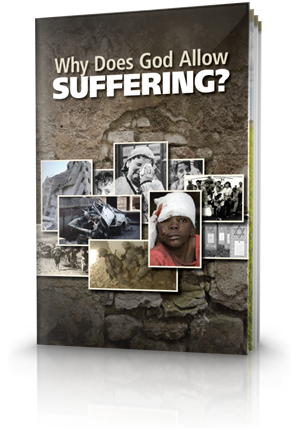 This featured booklet will help you understand how suffering began, how it will end—and why it continues. We live in a world of suffering. It falls on the just and the unjust, afflicting all of us at some time. Philosophers, thinkers and theologians have weighed in on the issue for years. 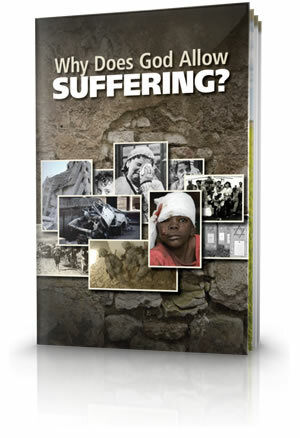 We need answers to the problem of human suffering! Repeated exposure to violence-real and feigned-in news and entertainment hardens us to the real suffering of others. If God is truly a God of love and mercy, why does He not intervene? Can We Explain All Suffering? 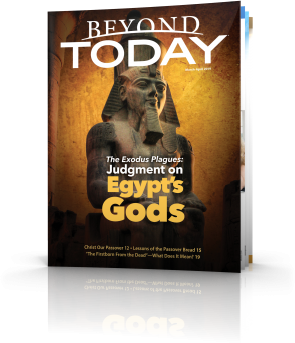 One of the consequences of humanity's decision to live contrary to God's instruction is a world subject to the capriciousness and vagaries of time and chance and the actions of others. We can see from various passages within the Bible that Satan exerts a pervasive power over mankind. We will all suffer at some time. While it is never pleasant, both history and the Bible show that suffering can, in the end, produce good. Theodore Roosevelt, as have many others, responded to trials and suffering by accomplishing more than he would have achieved had those tests never happened. "It Is Appointed for Men to Die Once"
Though death is sad, by no means is it the end of hope. God promises a resurrection to immortality for His faithful servants to reign with Jesus Christ and help Him administer God's Kingdom. God has a great purpose and plan that extends beyond this life. In this life we face trials. We are constantly exposed to a range of strains and stresses. However, we can call on several strategies to lessen the load. Here are a few effective steps. Immortal Souls and Eternal Life? Heaven and Hell? Reincarnation? Resurrections? What about reported life-after-death experiences? These ideas can't all be right! Don't miss this opportunity to find out more about this important subject!